*** During April we are offering 20% off our Flyers. This reduction is also on our already reduced bulk pricing that can be calculated using our pricing calculator. 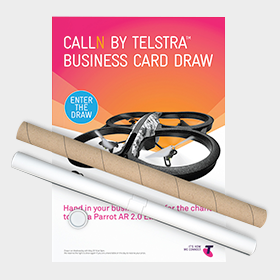 We can produce your flyers in as little as 24 hours after artwork proof sign off. Most requested -Use our instant pricing calculator below for bulk discounts. We have sizes ranging from A3, A4, A5, A6, DL and just to tickle your fancy, we’ve even got you covered with custom sizing in between! 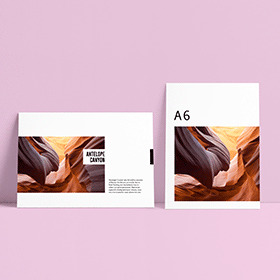 Choose between an extensive range of 5 paper weights from a lightweight 128gsm up to a 300gsm paper for that little extra sturdiness and then top it off with either Single or Double sided print. Finalise your flyers by selecting either a Gloss or Matte paper finish and if your flyers are 200gsm or heavier, choose between 2 lamination films and away you go! How long will my order for flyers take to produce? What paper are the flyers printed onto? 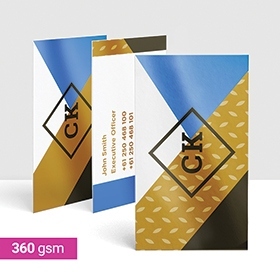 A bright white, A2 quality coated paper with outstanding colour reproduction. 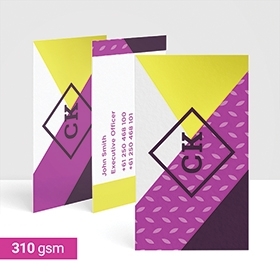 Available in a range of weights from 128gsm through to 300gsm, we are sure to have a paper that will suit you. The paper is proudly made and FSC certified by Hankuk Paper who also carry the ISO 14001 EMS accreditation. How are the flyers printed? Our Flyers are printed on the HP Indigo 7800 Digital Press, which is the fastest 13 x 19 inch format digital sheetfed press in the market. 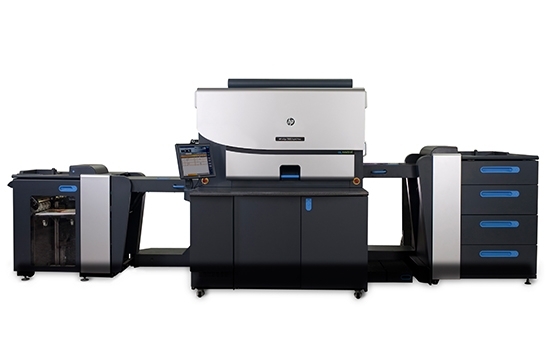 The HP Indigo printers combine proven quality, versatility, and breakthrough intelligent automation to maintain the highest possible productivity. Sophisticated colour automation ensures accuracy and consistency from job to job. Can I have my flyers laminated? Yes. 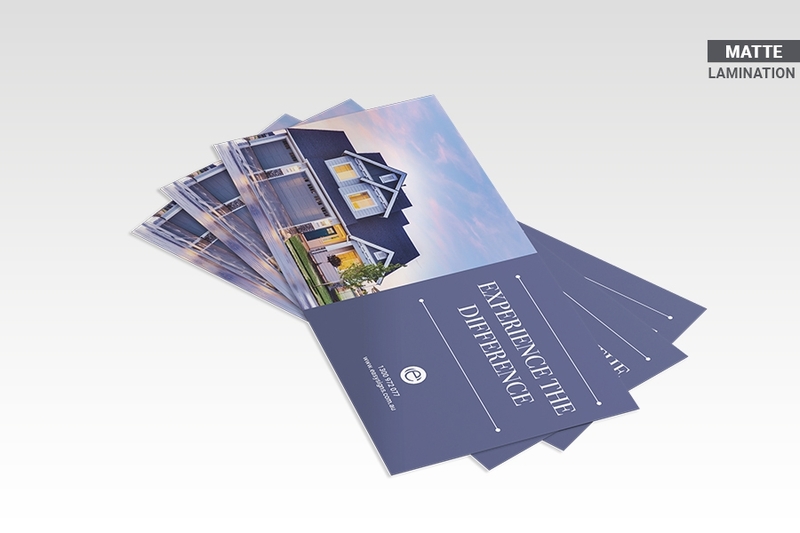 All of our Flyers are printed onto a high-quality stock with either a Matte or Gloss finish. 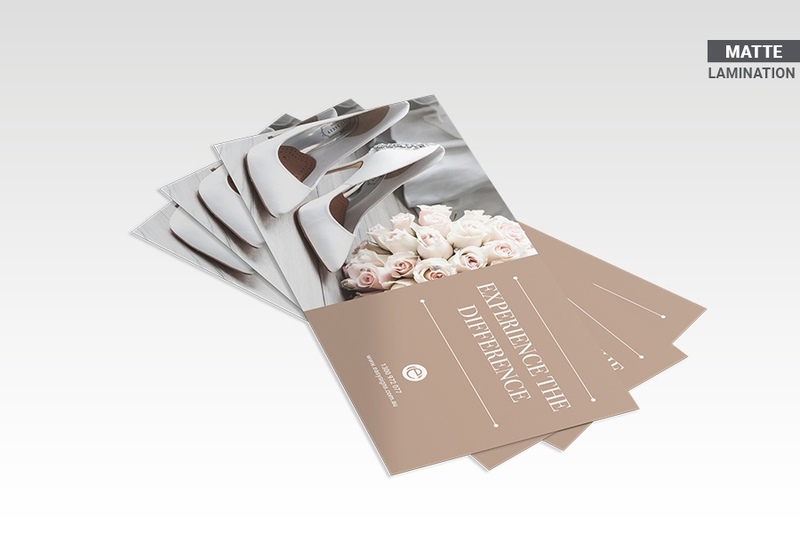 You then have a choice to add a Gloss or Matte Lamination for options that are 200GSM or heavier. 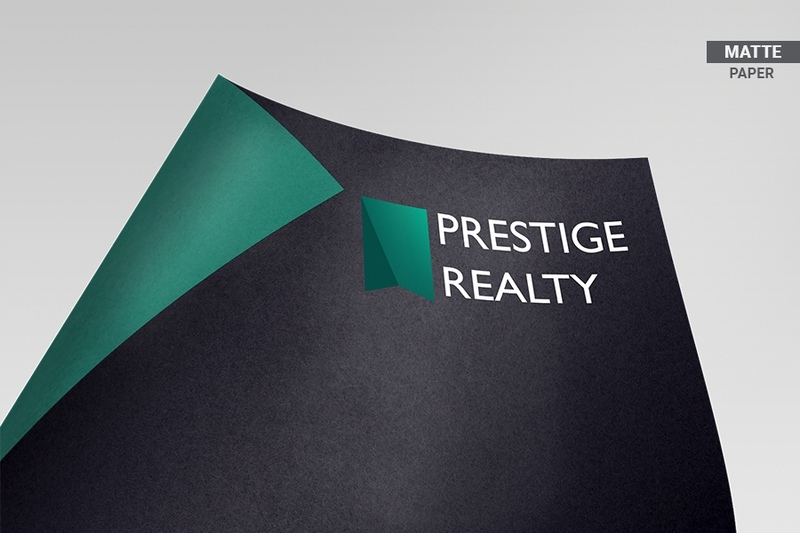 The lamination will be applied to either the front or both sides of your Flyer. 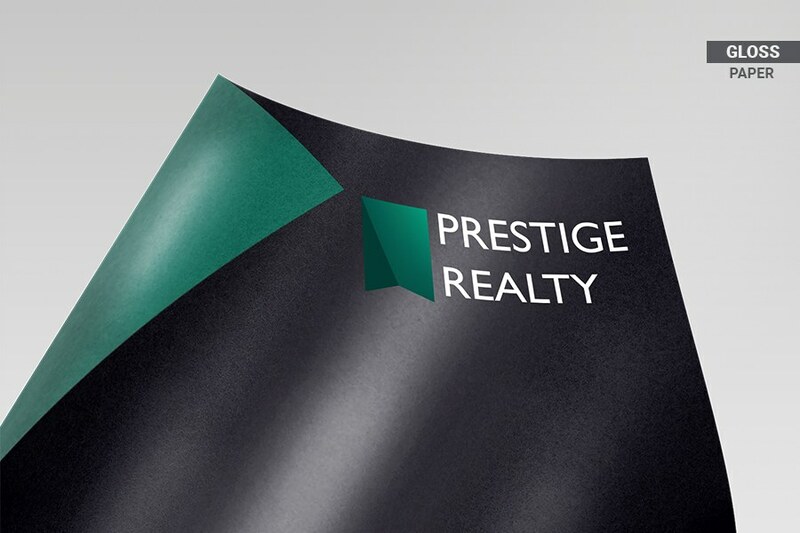 TIP: Try using a Gloss Paper with a Matte Laminate on the front to create a unique finish that will capture the imagination of your customers. How are the flyers packed for delivery? 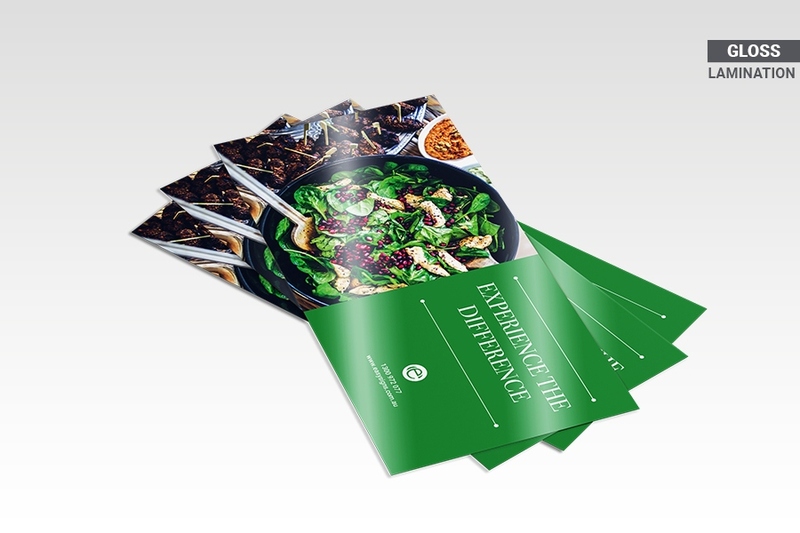 Can you crease and fold my flyers? 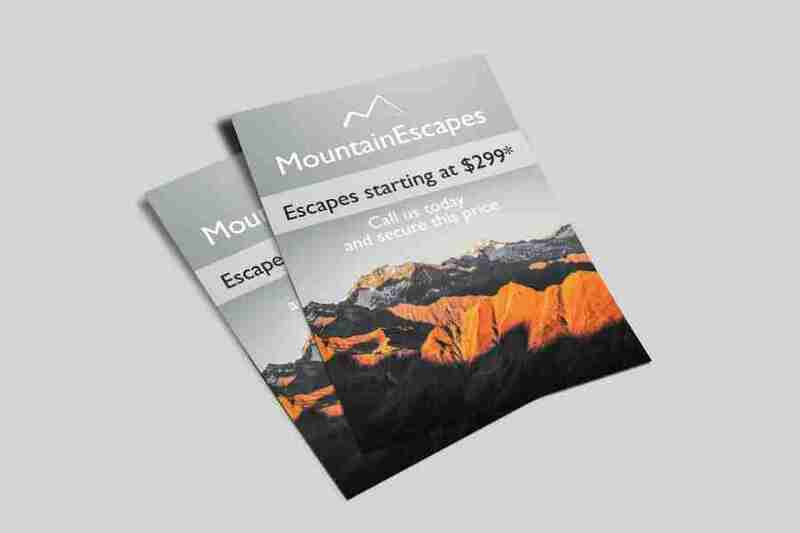 Why do you only offer coated flyers? 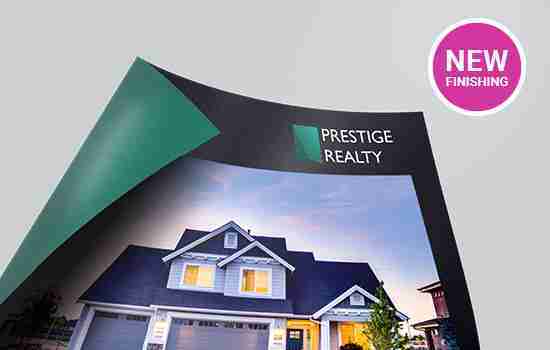 We only offer Coated Paper as it provides a superior print quality to uncoated papers, making your images and text extra sharp! 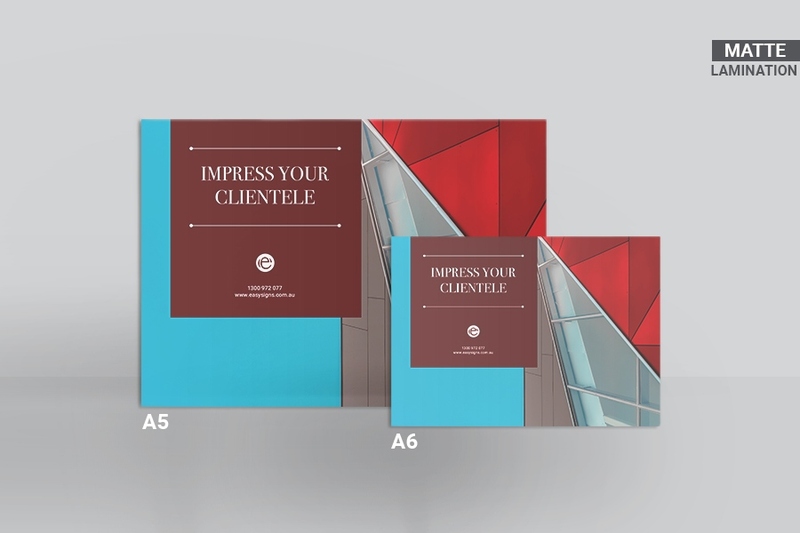 Do you offer offset or litho printing processes? We do not offer traditional lithographic offset printing. 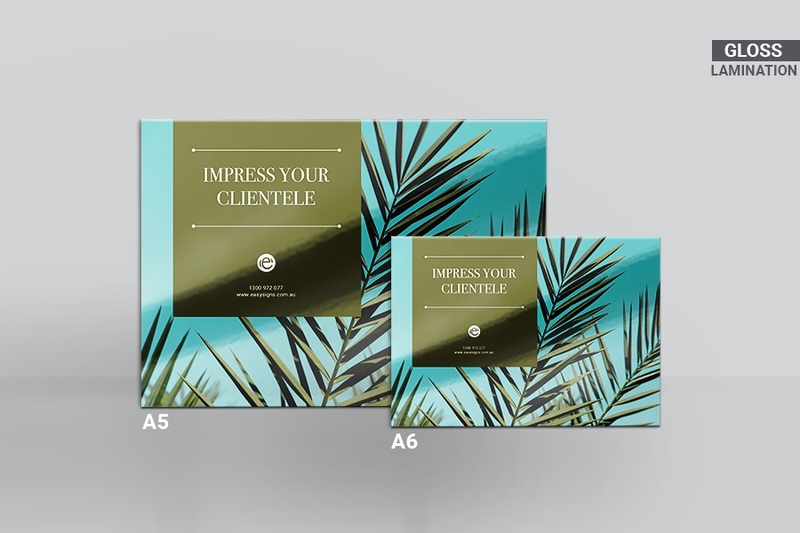 Although by printing with our HP Indigo 7800 Digital Press we can match or even exceed offset quality, allowing your prints to be used interchangeably with offset printing. Our range of sizes means you can be as flexible as your heart’s content! 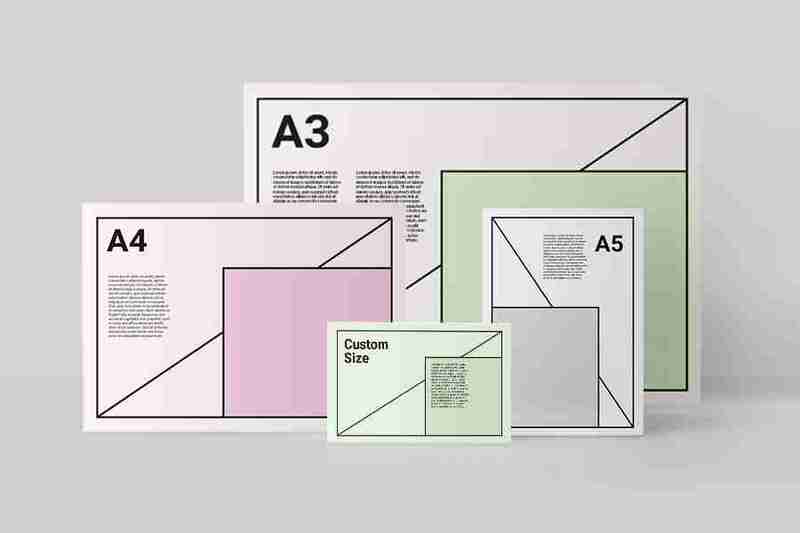 We support creativity and offer you A3, A4, A5, A6, DL or a custom size in between. 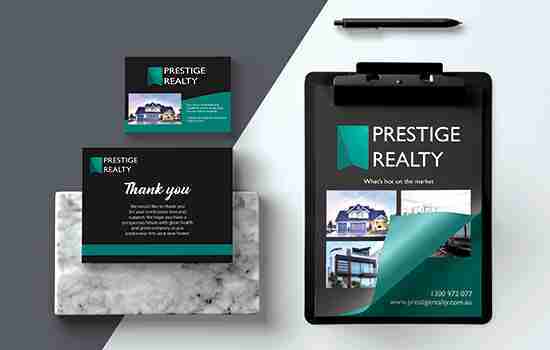 Get creative and print products such as brochures, direct mail, menus, point of sale or any presentation materials for your branding. 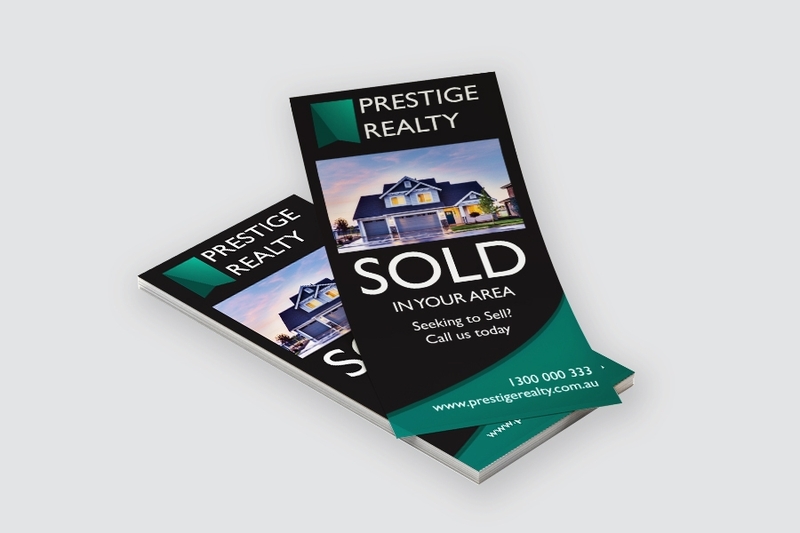 Great for Real Estate Open Home and Auction Flyers! 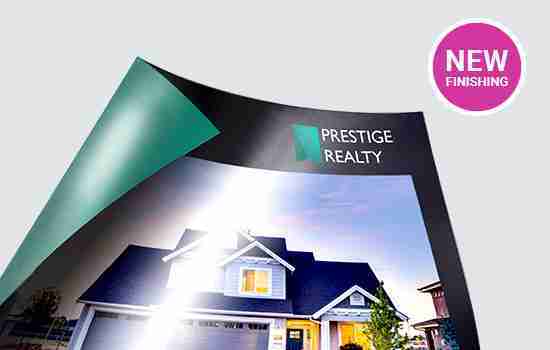 Create eye-catching marketing materials with our Gloss Lamination now available for your Flyers over 200gs,! 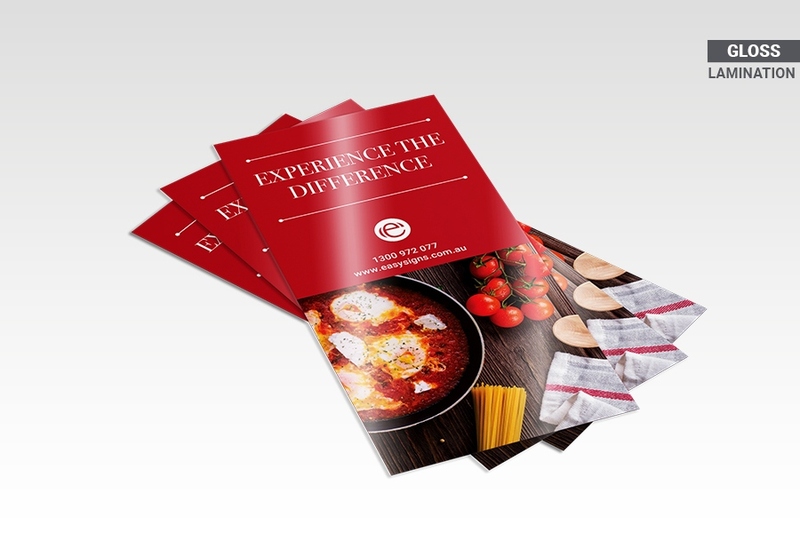 This lamination has a smooth shiny surface that is perfect for Flyer designs with photographs to achieve that realistic pop of shine! 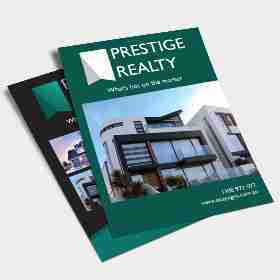 You can now match your Flyers with our Premium Business Cards using the same Gloss Lamination to achieve consistent professional branding. 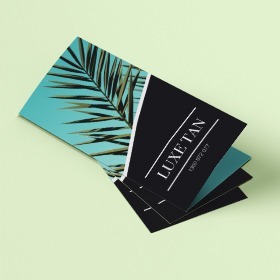 Our Matte Laminated Flyers are the perfect choice if you’re seeking a soft texture with a premium finish on your stock that is 200gsm or higher. This lamination provides a modern aesthetic and blocks out any shine. 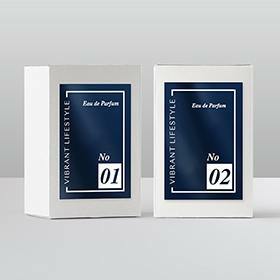 You can now match your Flyers with our Premium Business Cards using the same matte lamination to achieve consistent professional branding.